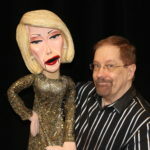 Book Jerry now by email or phone at (786) 564-2291. 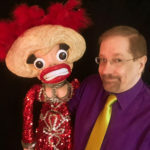 Las Vegas Puppeteer Comedian Jerry Halliday has performed in such big name casino hotels as the Rio, The Riviera, Bally’s, Resorts, and Harrah’s in Las Vegas, Reno and Atlantic City, as well as comedy clubs, theaters, and luxury cruise ships. Along with Sista Girl, Halliday unleashes on his audiences the Not So Holy Nun and Granny Goodtimes. 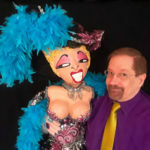 A world-class puppet designer, Jerry actually makes all his own puppets and brings them astonishingly to life with his incredible skill. 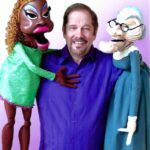 Even when in full view of the audience, Jerry is so accomplished at manipulating his puppets that he virtually disappears while his characters become absolutely alive as they command the full attention of his mesmerized spectators. 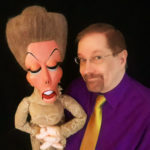 Halliday’s laugh-packed stage appearances are audience tested and audience approved. 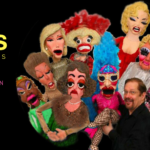 Every performance is a carefully crafted comedy gem. He’s a big time talent with a first class act. His living, breathing characters don’t just say funny things, they are naturally funny. He is a true original, the best in the business at what he does.